A Harvard study that started almost 80 years old has proven that having deep, meaningful relationships helps us live longer and be happier. In what is one of the world’s longest studies of adult life, researchers have collected a wealth of data on physical and mental health. Only 19 of the original participants are still alive, all in their mid-90s. Among the original recruits were President John F. Kennedy and Washington Post editor Ben Bradlee. Researchers eventually expanded their scope to include the men’s children, who now number 1,300 and are in their 50s and 60s, to find out how early-life experiences affect health and aging over time. Women didn’t take part in the study as Harvard was still an all-male school back then. Many participants went on to become successful businessmen, doctors, and lawyers. Some were diagnosed with schizophrenia or alcoholism. Over the years, researchers have studied the participants’ health and lifestyles, their personal and professional victories and failures, and arrived at some startling conclusions. Close relationships keep people happy longest, not money or fame. Healthy relationships are a buffer between us and life’s sorrows. They help postpone the inevitable physical decline and can prevent anxiety and depression. They are also excellent predictors of long and happy lives than social class, genes and IQ. Marital satisfaction also has a protective effect on people’s mental health. Data show that people who had happy marriages when they were older reported that their moods didn’t suffer even on the days when they had more physical pain. On the other hand, those who reported feeling unhappy in their marriages felt more emotional and physical pain. Generally, people who kept warm relationships got to live longer and were happier. According to Waldinger, loneliness is as adverse as smoking or alcoholism. Which isn’t to say, of course, that you can get away with these if you aren’t lonely. The study participants who lived longer and enjoyed sound health avoided smoking and alcohol in excess. Another longitudinal study showed that women who had a secure bond to their partners were less depressed and happier in their relationships almost three years later, and also had better memory functions than those with frequent marital conflicts. Having a good relationship doesn’t mean you always get on well with your partner. You can argue often as long as you feel that you can really count on this man or woman when the going gets tough. Psychiatrist George Vaillant, who joined the team as a researcher in 1966, led the study from 1972 until 2004. 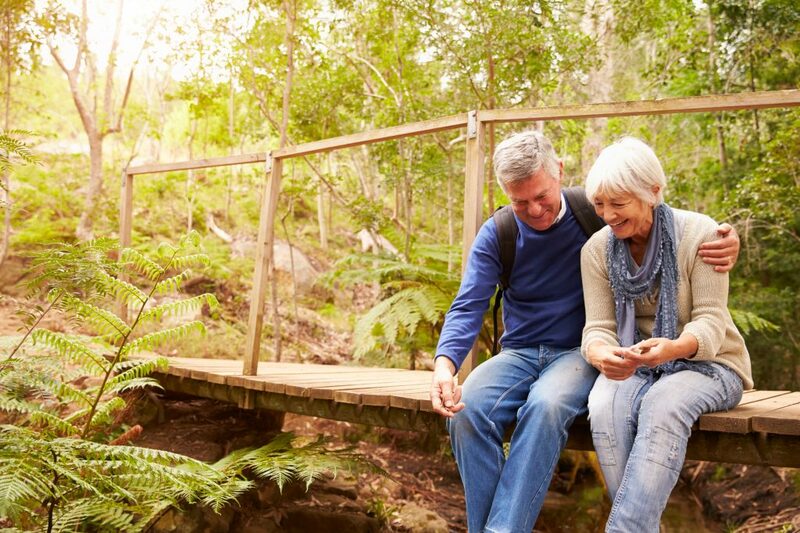 In a book called “Aging Well,” Vaillant concluded that six factors predict healthy aging: physical activity, a stable marriage, absence of alcohol abuse and smoking, having healthy weight and especially disposing of mature mechanisms to cope with life’s ups and downs. Education was an additional factor for inner-city men. Researchers found a negative correlation between level of education and smoking/drinking. Waldinger, who is actually the study’s fourth director, has expanded the research to the wives and children of the original participants with the aim to find out how people manage stress. It doesn’t have to take a tragedy or an extreme circumstance for a person to realise they aren’t happy. Everybody’s goals and dreams are different, but there are some general tendencies and feelings that indicate we are not happy. Here are the signs you’re not living a life that makes you happy. Love can be wonderful, or it can be sweet misery, in Steven Tyler’s famous words. Many of us know only too well that it can be hard to let go, even when you know you should. You can’t be happy in a toxic relationship. Having a job that makes you miserable or is simply unfulfilling is bound to affect you adversely. It can add stress and anger and leaves less time to spend with loved ones. You should always look for an opportunity to find a better job, even if it pays less. Sometimes we feel unhappy, but we try to ignore our feelings, convincing ourselves our lives are “good enough”. Negativity can stem from bad habits, people, or environments. At any rate, you get what you settle for. Tolerating negativity will, eventually, start affecting your health adversely. It’s easy to feel okay about an area of your life you want to change — all you need to do is assure yourself you’ll work on it “later.” This way you keep putting it off. You won’t live forever – now is the time to start claiming and living the life you truly deserve. We all struggle with self-limiting beliefs. If you keep letting doubt and fear keep you paralyzed, you’ll never start living the life you were meant to. Everybody deserves to be happy! Your convictions are at the core of everything. If you believe life is hopeless, and there’s no way out of your situation, you will never take the necessary measures to start the journey toward happiness. Nothing worthwhile comes easily – if it did, it wouldn’t be worthwhile! It will take time to change your life, but this is most definitely time worth taking, because life is too short to settle. Happiness begins with making a choice. If you’ve established that you are or aren’t happy, let’s go a bit deeper now. Why aren’t you happy? It isn’t enough to know you aren’t, because if you don’t know why, you can’t change anything. Here are some frequent causes of dissatisfaction and unhappiness in people’s lives. Why do some families have just one car, even though they can afford more than one? Why do some people who aren’t going bald shave their heads? Or why do some people have just two or three pairs of shoes when they obviously have enough money for more? All these questions have one and the same answer – simplicity. There are many hassles to having more than one car – multiple insurance policies, maintenance…you get the idea. Modern life offers us a plethora of choices, but these choices come at a big price. Quality of life is not the same as standard of life. They are often mixed up, especially in Western culture. Even very positive people can feel blue once in a while. Parents who try to protect their children from sadness make this mistake – they’re in fact bringing about the exact opposite effect. Sometimes sadness can make you stronger, giving you the ability to move forward in your life. Happiness is not the absence of sadness, and fake happiness is worse than sadness. When you suppress sadness, you suppress other feelings and emotions too, becoming more anxious and depressed and – yes – sadder. The same culture that negates simplicity entangles us in tension, which eventually takes a toll. You need time out, plain and simple. Meditation, particularly mindfulness meditation, can help you recharge and feel happier. The morning is the best time to meditate because we are completely absorbed by our senses in the day and we ignore our minds. Find a quiet place to sit and focus on your breathing. This process will help you grasp what your mind is telling you. Don’t succumb to despair – stay hopeful. You can achieve this by having goals and the motivation and plan to attain them. Those who succeed don’t seek someone to put the blame on. Instead, they ask themselves what they are going to do now. And they plan. Such people not only attain their goals, but are also more successful both professionally and socially, and, yes, happier. They have a greater tolerance for pain and face a lower risk of heart disease, depression, and anxiety. You tolerate negativity in your life, but why? Compulsive negative thoughts self-perpetuate. You get stuck in a vicious cycle. Say your boss criticizes your work. If you get too negative about it, it’s going to distract you from other things. You’ll start ignoring your partner at home. They get mad, and you get even more negative. Your job performance gets worse, and your boss criticizes you even more. Eventually, all your relationships begin to deteriorate. You think to yourself, “I knew this would happen, everything is horrible” and you ascribe your failures to the fact that “everything is horrible” instead of taking responsibility. And the cycle continues endlessly. So how can you counteract negativity and enhance your happiness? Try being grateful for something. There’s always something. People appear to have a certain set point for happiness, which is influenced by genetics, but it can be elevated by practicing gratitude. Studies show that people who keep gratitude journals feel better about their lives and are more active physically. The Egoic mind or the “Ego” loves to dwell in negativity, and playing the victim card can be a sure way to live in negativity which then feeds off itself and becomes stronger. Most of the time people don’t realise just how much they’re living within their own negativity and victim mentality, and worse yet don’t realise just how much it’s actually affecting them in adverse ways. These people generally don’t intend on being miserable with the negativity, as people are often trying to cope the best way that they know how to. It’s important to be aware if this is happening for you, so that you can identify it and then learn how to step out of the victim mentality and start to empower yourself instead. The second key to happiness lies in understanding that happiness is a choice. We choose to be happy no matter what life throws at us. Happiness is a way of life. Happy people choose to make the best of everything, because happiness is a state of mind. We can either choose to be miserable, or we can choose to be happy. Happiness is simply a mental state of well-being created by positive and good emotions. Don’t forget this. Stay positive and have the confidence that you can find your way out of even the most difficult or hopeless situation. There is hope as long as we live and breathe. This is not to say that going from being miserable or unhappy to being happy will change in an instant in all cases, though our brains are definitely plastic, meaning that we can change our brain wiring, so we can work on changing our brains to be in a more positive, happy state with consistent practice. Happiness is an attitude. Miserable people focus on what they don’t have, while happy people focus on what they do have, not on what’s missing in their lives. Things like the gorgeous colours of the ocean, a cold beer on a hot day, a smile from a stranger, or even a ray of light piercing the clouds can have a profound effect on what and how we feel. Learn to appreciate these simple things. Paulo Coelho was right to say that the simple things in life are the most extraordinary. Cheesy love songs aside, it is true that love is one very powerful force. The Harvard study proved this. if you want to be happy, love is a must. What is the first step? Loving yourself. If you don’t love and appreciate what and who you are, no one else will. It shouldn’t be that way, because there are plenty of people with low self-esteem out there who have plenty to offer those around them and deserve to be loved, but it is. Do you know anyone who is overly self-critical, constantly putting themselves down? Do you eventually find yourself agreeing with them? It’s inevitable. People like this rarely have love in their lives. Another reason could be that they are just as critical of everyone else as they are of themselves. Doing something good for others makes you feel good too, notwithstanding the previous point. However, do be able to tell the difference between business and kindness – business is if you’re expecting something in return. If you want a happy life, then having a purpose in our life that gives us direction and focus is another way to achieving a happy life. If you don’t know where you’re going, you won’t end up anywhere, and then you’ll likely feel very unfulfilled in life as the world passes you by. Find out what your passions and purpose is and start taking action steps to work towards achieving this. Surround yourself with positive people and you’ll be a positive person and this will be sure to get you on your way to a happy life. Having good friends will not only help you to be happier, but also bring some amazing health benefits. Practice mindfulness – it will teach you to slow down and feel more fulfilled, and consequently happier. Never forget that happiness is in the present moment – live it! 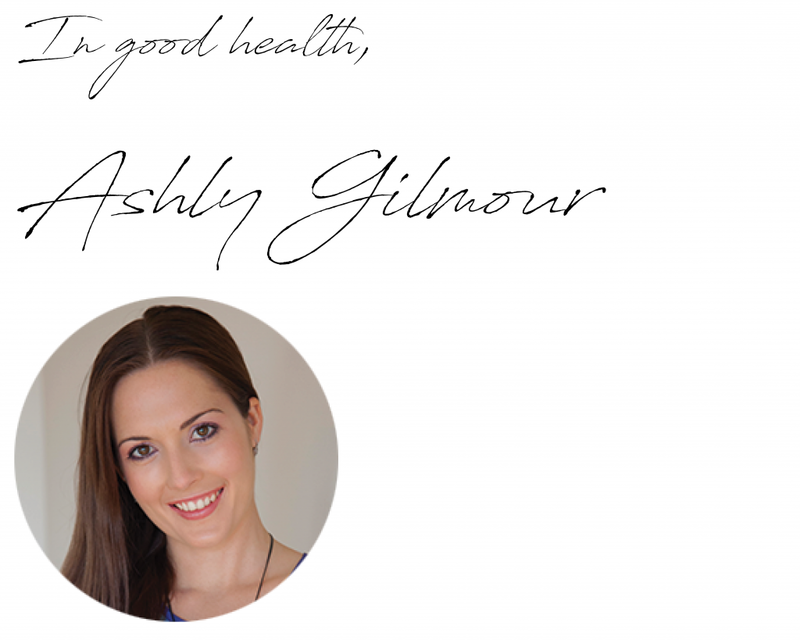 If you find yourself struggling with dealing with unhappiness or depression, contact us today on 07 5574 3888 or email [email protected] to discuss how Ashley our Gold Coast Psychologist can help you to start to feel happier and live a more fulfilling life again. This entry was posted in Blog Article, Depression, happiness and tagged depression, friendships, happiness, relationships.